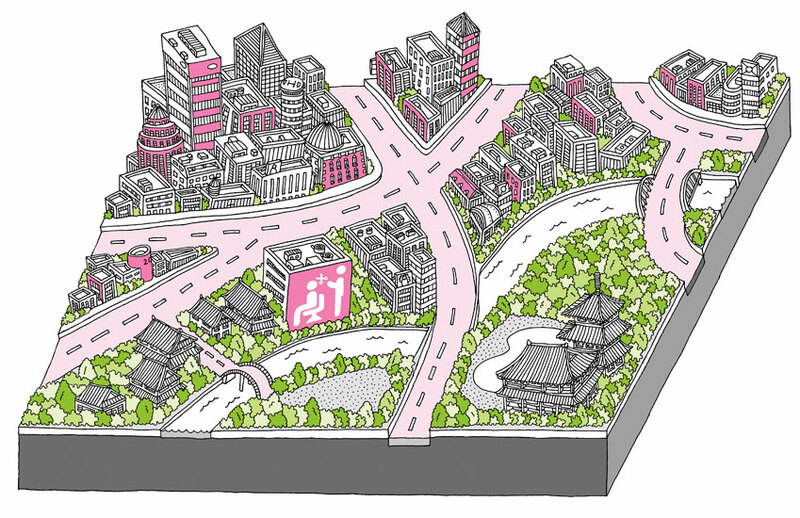 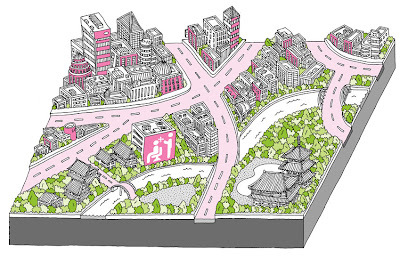 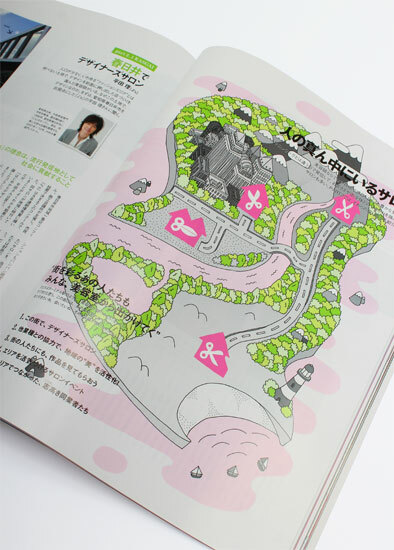 I was asked by HAIR MODE magazine, a specialist hair stylist magazine here in Japan, to illustrate two maps for their April 2013 issue. 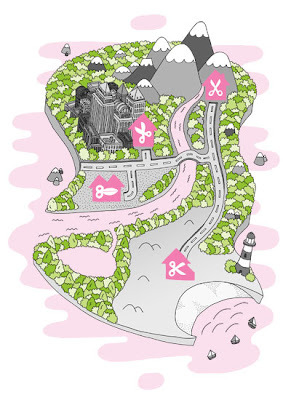 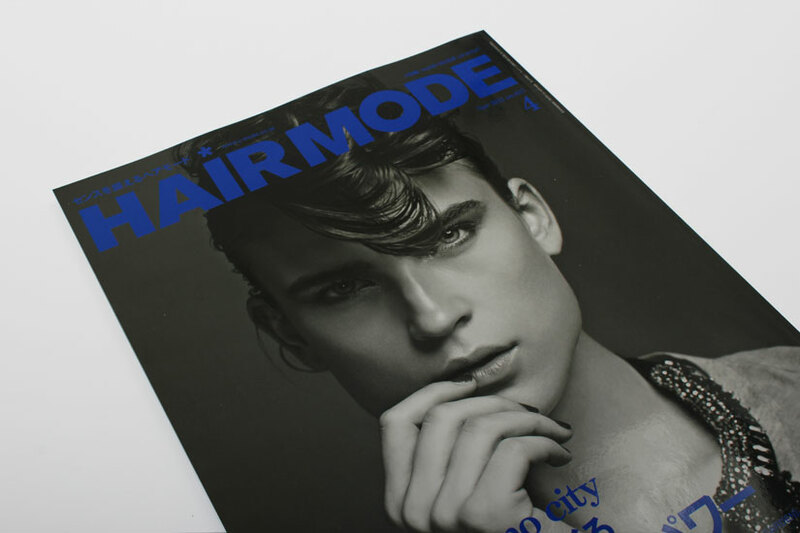 The first article promoted salons in various locations around Japan. To help emphasise this they asked for a map that highlighted salons in the city, near the mountains, by the river and close to the beach. 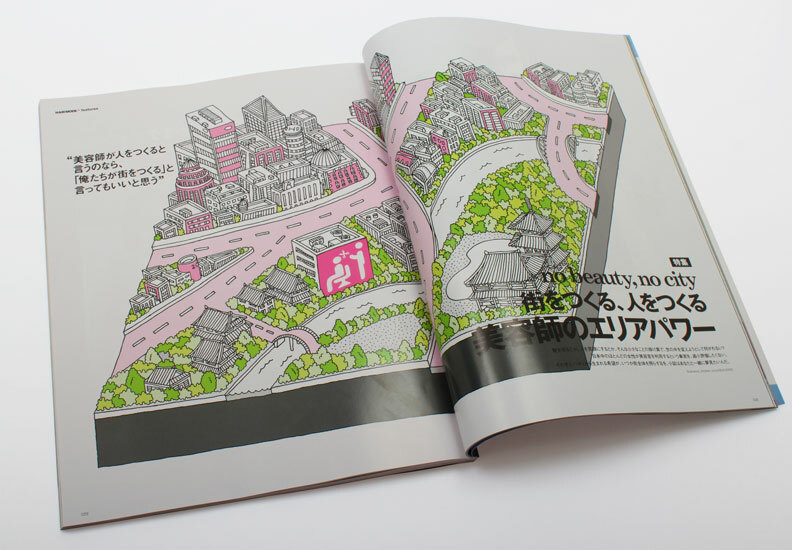 The second article talks about how hair salons are an integral part of any city and give it "area power"